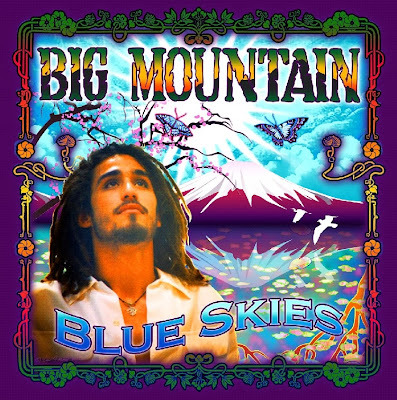 Discussions Magazine Music Blog: BIG MOUNTAIN/Blue Skies: Album and Tour info! BIG MOUNTAIN/Blue Skies: Album and Tour info! 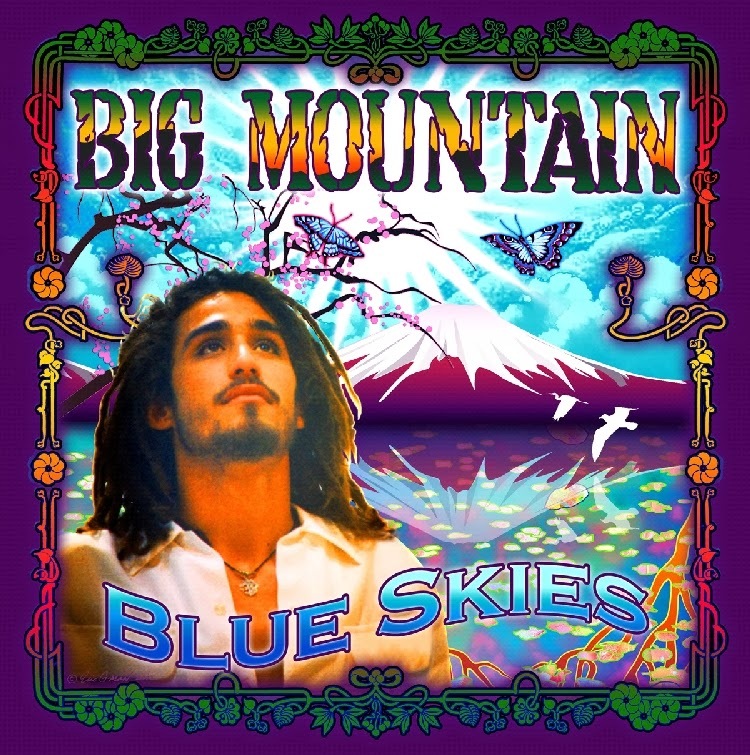 Big Mountain, the band behind the #1 worldwide hit “Baby I Love Your Way,” is back with Blue Skies, a new album of classic favorites with a Reggae twist, out July 15, with a U.S. dates to follow starting in October. The band’s smash hit single “Baby I Love Your Way,” from the 1994 film soundtrack “Reality Bites”, went on to sell over 3 million copies in the U.S., and the band has had several other hits as well, including “Touch My Light” and “Get Together.” On the radio, Big Mountain is the 2nd most played Reggae act of all time behind only Bob Marley, and the band has regularly toured South America and Asia in recent years. “Our music is at a level where people of all cultures and ages can enjoy it,” says lead singer Quino. Big Mountain’s new 15-track album Blue Skies, features four new singles, a revelatory cover of Bob Dylan’s “Lay Lady Lay” as its first single, several new Big Mountain originals, including “My Lowrider”, “Samba Reggae” and “Hard Road” comes alongside the band’s first U.S. concert dates in 10 years, kicking off in October at Hollywood Park Racetrack Casino alongside Ky-Mani Marley and Maxi Priest. The driving force of Big Mountain is lead singer and rhythm guitarist Quino (pronounced KEE-no), supported by his brother James McWhinney on percussion and vocals; Paul “Grooves Galore” Kastick on drums; Goofy Campbell on keyboards; Michael Hyde (also of Ziggy Marley’s band) on keys; former Isley Brothers band member Reggie Griffin on guitar and saxophone; Tim Pecheco on percussion and vocals; Danny Lopilato on guitar and vocals; Andre Sias on drums; Carlos Arias on bass; and Stephen Kamada on Guitar.